After weeks of deliberations and uncertainty, the Eastern Caribbean Monetary Council has announced that Timothy NJ Antoine will be the next Governor of the Eastern Caribbean Central Bank. It’s a post left vacant after the esteemed Sir K Dwight Venner came to the end of his outstanding 26-year stint — the longest of any Central Bank Governor. His shoes will not be an easy one to fill. Antoine holds a BSc degree in Economics with Management from the University of the West Indies, and an MSc in Social Policy and Planning from the London School of Economics. Most importantly, though, is that he is an old boy of the Grenada Boys Secondary School (GBSS) and shares the same alma mater as his predecessor. Under the guidance of the legendary GBSS principal Mr Victor Ashby, Timmy — as he is affectionately called — would have learnt, in his formative years, all the exemplary qualities of a “man’’. He is a former GBSS head boy. He is now head boy of the sub-regional bank. The GBSS has produced some of the finest minds in Grenada, the region and indeed the world. An institution now well over 120 years can once again celebrate the success of one of its most distinguished sons. Timothy Antoine, from his school days, always demonstrated strong leadership qualities. He always carried himself with great dignity and his religious upbringing would have played no little part in developing his character as a human being. I remember him as an outstanding debater in the days when there were debates between classes in schools; always mentally sharp and astute. He commanded his debate material well, at the age of 16 or thereabouts. He was made Permanent Secretary in the Ministry of Finance at a young age; and for this, Prime Minister Keith Mitchell needs to take credit. The Prime Minister made the choice of Timmy at a time when, for someone to become a permanent secretary, that person — more often than not, a she and not a he — had to be an old seasoned public servant. Young intelligent professionals had to bide their time. Prime Minister Mitchell took the bold step and decided to invest in youth, and by so doing, appointed one of the most competent permanent secretaries of our time. I must admit that even when I was one of the harshest critics of Dr Mitchell, I privately conceded that this is one of the most visionary things he did as Prime Minister. Prime Minister Mitchell has once again demonstrated his confidence in youth in appointing both Ms Patricia Clarke and Mr Alva Browne as permanent secretaries. I now publicly applaud their appointments. 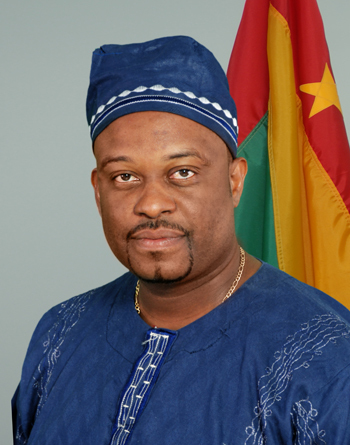 In a 2008 letter, Messrs Sammy Watson and Ishmael Lightbourne, executive director and alternate executive director for Canada, Ireland and the Caribbean, said of Timmy (upon completion of his stint as an advisor to the executive director for Canada, Ireland and the Caribbean at the World Bank): “Mr Antoine brought to his office as Caribbean Advisor, not only academic and professional excellence but a wealth of practical experience and wisdom… he expanded and deepened the understanding and knowledge of everyone in the constituency about the Caribbean… We shall not lose sight of the many assets he has brought and the good legacy he will leave at the World Bank… our loss is your gain’’. Timmy has impressed the world with his knowledge, professionalism, and his integrity. As a government minister, I had the opportunity to observe him at work close up, and I can say that he oozes class. There is no doubt that there will be challenges ahead. However, I am confident that Timmy will rise to the occasion. He has served Grenada well, and as we share him with the rest of the sub-region, we do so with the utmost of confidence and belief in his ability. This must be a proud moment for his parents and siblings. Indeed, the Antoine clan has provided us with top class professionals; but, I am certain that even they will concede that Timmy has set the standard for everyone else. “The prize to the one who earns it, let this be the golden rule.” Timmy will know that line very well. He will appreciate as well, that although one man kicks the goal at football, it is all about the team. I wish Timmy all the best in his new adventure, and pray that the good Lord will keep and guide him going forward.